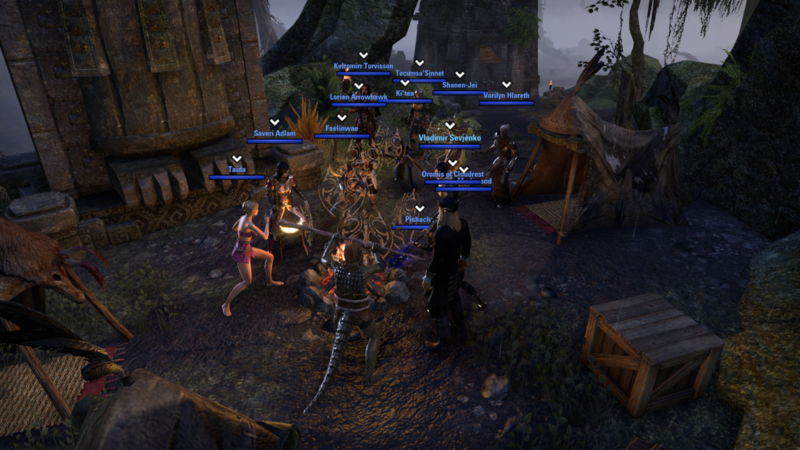 The sacred Fires of Dirt have been lit once again all throughout Tamriel and were to stay lit until the end of the week. 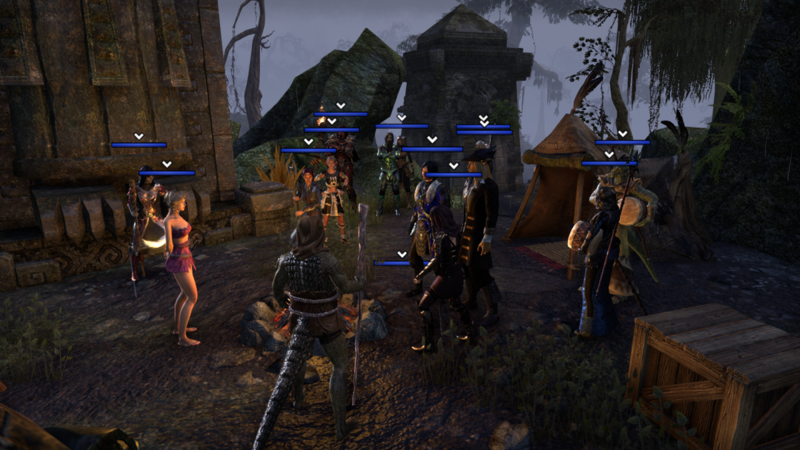 Rumors spread of the strange Argonian in a dress as well as many others wearing similar attire honoring a particular pond in the swamps of Seyda Neen. One resident took up the courage to ask why and was told the answer before given a pouch of dirt. 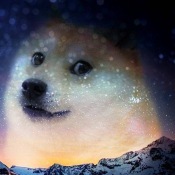 Two days ago an honorable and loyal Dirt Guardian by the name of Okameel died giving his life to the cause. It was said that he had been slain while fighting the threat of the Mud Cultists in the swampy marsh. Many believed it was a joke and shrugged it off as such but seeing the emotion the Dirt Guardians expressed they changed their minds quickly, bowing their heads in honor of Okameel's sacrifice. Before leaving the oddly dressed Argonian named Hundorian said some words. "Okameel followed the Path of Dirt and even if I only had brief moments with him I could instantly tell he was deeply planted in the dirt. We should not only be saddened by his death but we should remember him for why he did it. Okameel went alone, fought several foes, and fell. His bravery willl be written in the Book of Dirt and we shall light the Fires every year in his honor. Dirt guide you Okameel in the next life as it did in this one. Forever and always." Heard around the town of riften, there has been rumors of a Nord, around 25 that frequented the Withered Tree in Riften, that was killed in the dock area behind the tavern. There was apparently two suspects that ran, and two who stayed around to look after the man, known as Manning around the area. Various travelers have gone missing on the roads around Vos, Suran, and Gnisis. For refuges and native travelers alike, it seems that, while the missing are small in number, this could potentially grow into a problem. Reports of hostile goblin activity south of Stormhold once again are spoken about. 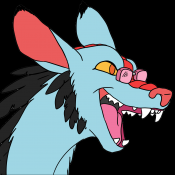 Something is provoking them or perhaps, as those unamused by the various rationale behind the actions of goblins like to think, they are simply doing what goblins do best: whacking whatever they see with a stick. A small group of Argonian has been seen on the Gold Coast. They appear to be a roving hunting band that have taken to stalking the smaller encampments of Minotaur found near and around the ruins East of Anvil. It is said they were able to take down one of the larger monstrosities and have been spotted moving north and west to their next location. 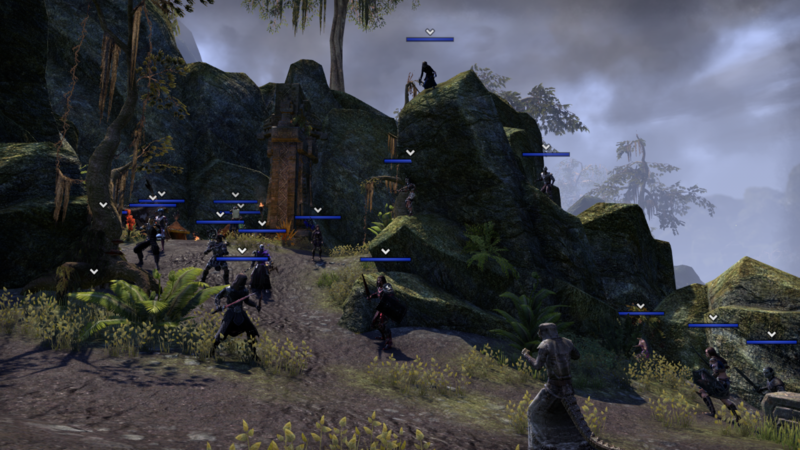 A group of travelers were seen gathering in Alten Corimont that happened to be in Shadowfen. Rumors throughout the week had been spread of the Dirt Guardians and theirs allies possibly staging an attack against the Mud Cultist. Once everyone who wished to help had arrived the group headed Westward to their place of attack. Once the group of adventurers had arrived to their attack site they were welcomed by several other Dirt Guardians wearing the traditional garb which would usually be a towel. They were seen sharpening weapons, setting traps, and even talking with one another as they prepared for the battle to come. The other group gathered around the fire and began discussing the plan of attack as well as why it was important that Mudder did not get away. Soon the Horns of War were sounded and the group made a final chant in honor of the Dirt. The sounds of intense fighting could be heard across the bridge as other Dirt Guardians had surprised Mudder on the road. However they were no match for the forces he brought with him. The Dirt Guardians planned for this and as soon as Mudder had crossed the bridge it was destroyed by a ballistae that had been set up prior to the battle. The first assault on the group began with a hail of arrows that lasted many minutes before wave after wave of Mud Cultists came charging from all sides to surround the group. They came from the rocks, the trees, and even from beneath. The conflict had seemed to end almost as quickly as it began but Mudder had other intentions. Using the remaining mud he can harness he brought down the gate leading into Murkmire. A large Argonian Behemoth came roaring though and crushed the ballistae, hurling it towards the group of brave warriors. Arrows, spells, slashes, and even words were the immediate response from the group as they managed to fell the behemoth. As the monstrosity slumped forward he glowed a bright light before exploding in a pile of blood and guts that would shower the group. Knowing death was imminent, Mudder made his escape but not before one of the Ardent Armigers spotted him and made pursuit. Some members of the group stayed back to heal those injured while the rest pursued after Mudder. They caught up and saw him sat against a stone. Soon enough a flame atronach appeared and burned Mudder alive, turning him into a pile of ash. The flame atronach then began to issue a threat only to be succumbed by a river of mud. The strange new mud figure issued a threat as well before sinking into the ground. Wary and tired, Hundorian thanked all those who had helped him in this battle before departing to look over the wreckage of the ballistae. 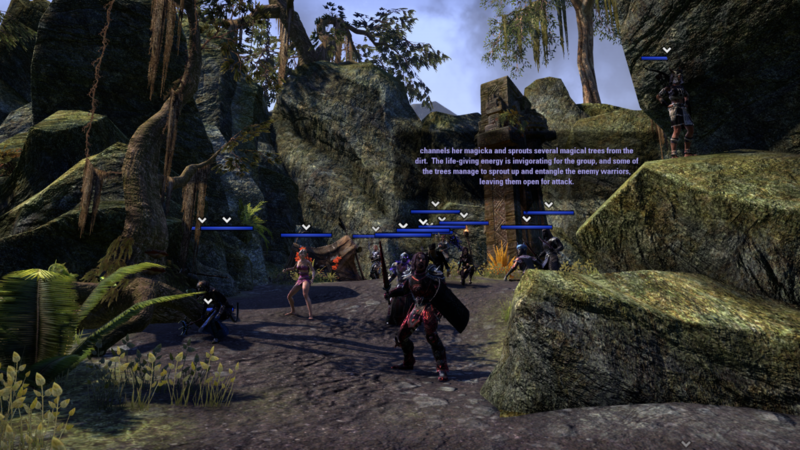 "There is word of a large trading post being set up near the border of Wrothgar, a few days travel from Evermore. It is still under work, from the looks of it the Orcs have some stock into it, helping the person who discovered and reclaimed the old relics of stone back from a Reachmen tribe. 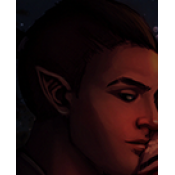 A Bosmer fellow owns it, kind of a funny fellow they say, as tall as a regular man, a bit odd funny though!" a man at the bar explains to his buddy before quaffing down a large portion of his ale. "Indeed? Hmm well, maybe the Orcs of Orsinium are trying to get people to go and visit such lovely lands?" the man seems amused at the notion. "Well any other Reachmen tribes in the area?" "Seems rather tamed close to the border of High Rock. Regardless, something new and different, seems a bit small now but maybe with help from some investors it could be something famous? The Hiranius Trading Post is what is called, ask for the Bosmer he will either barter or give ya a good deal." Throughout the streets and taverns of both Riften and Windhelm, rumors about the plight of those villages that rest at the foot of the Throat of the World. The folk there talk of a massive and raging bull mammoth tearing through the autumnal forests. Twice the size of any other, not even the local garrisons have managed to put the beast down! 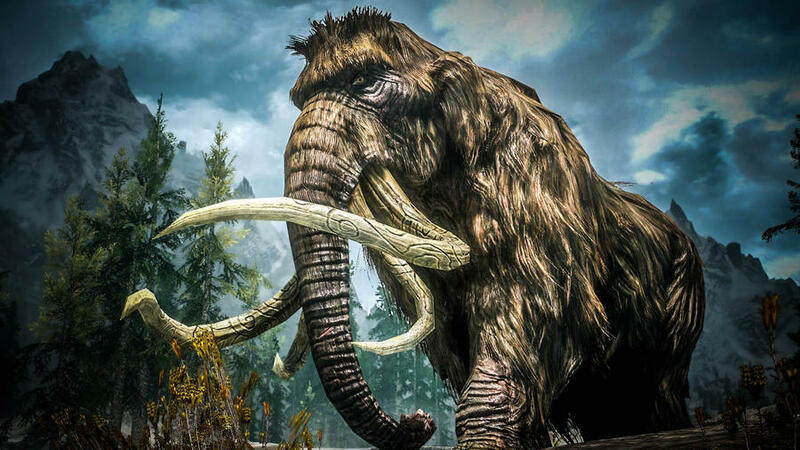 Those few traders and wanderers who have been lucky enough to survive the mammoth’s passing tell of its scarred hide, frenzied eyes and blackened tusks. A series of grim reports have been flowing out of the burgeoning canton of Molag Mar, as of late. The garrisoned Armigers tell of corpses washing onto the shores of Azura's Coast. Though none have yet been identified, those who have been found have all been women. A travel advisory has been ordered and it is recommended that all who roam the roads keep themselves armed and wary. Many Dirt Guardians were seen trekking up one of the Jerral Mountains located in Skyrim. The reasons why still remain unknown as the traveling merchant that followed them disappeared shortly after a skirmish broke out upon one of the peaks. One hunter reported that a storm had been brewing at the peak for several hours and the winds started to pick up as well as the snowfall right before the fighting ensued. As the hunter ventured up to investigate the incident he came upon many slain bodies of Dirt Guardians while some were frozen completely solid. Just as he was about to leave he noticed a figure approaching through the fog and decided to flee back down the mountain before they could get closer. Surprisingly this hunter knew of the strange Argonian called Hundorian and he asked of what they were looking for. The only thing that the Argonian revealed was the ability to lick at his own eye and breathe heavily.